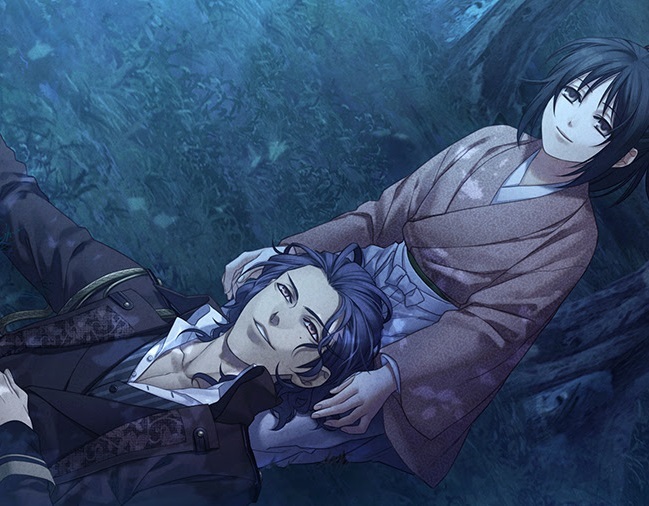 Home > visual novel > Hakuoki: Edo Blossoms is PC-bound too! Hakuoki: Edo Blossoms is PC-bound too! Idea Factory International has announced that in addition to the PlayStation Vita release for Hakuoki: Edo Blossoms, which had been announced last year, there will also be a PC version as well. Related reading: The real-world history of the Shinsengumi, by Matt C.
Edo Blossoms finished off the story that left people hanging at the end of the original Hakuoki: Kyoto Winds. It's much the same style of game; it's a visual novel in which you play as Chizuru, who's on a mission to find her father, which leads her to team up with the Shinsengumi. Who just happen to be gorgeous. And very, very datable. Hakuoki is notable for being a really, really good visual novel, though, that does an amazing job of combining real-world history with the more fantastic elements, and indeed I know quite a few people who have been inspired to learn more about the enigmatic and controversial Shinsengumi following their time with Hakuoki. The PC version will be available in English, Japanese and traditional Chinese, and the gorgeous art will look positively resplendent when displayed in gorgeous 1080 resolution.